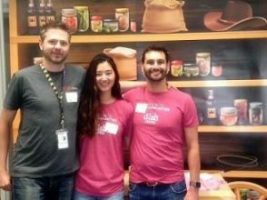 The volunteers from Dish elevated the Oregon Trail program at the Castle Pines Library with their enthusiasm and good humor. From playing a maniacal thief to celebrating participants little wins, the Dish Cares team made the event so much more fun and engaging for our patrons. I appreciated all of their help both during the program and clean up. I couldn’t have done it without them!